There have been countless claims of haunted and possessed dolls from around the world and for many years. Recently, Chrissie Swan, a famed radion and tv host share a bizarre image on her instagram which showed a scary looking doll in a white lace dress sitting upright. She said it was found abandoned on a public bench in Melbourne. Smudged white and pink foundation was smeared all over the doll's face, while the initials 'L' or "V" and 'S' could be seen drawn onto the doll's foot. It was also clothed in the style of a centuries-old dress. Adding to the peculiar encounter, the 45-year-old asked her 184,000 followers: 'Why the symbols WHY?!?'. Some suggested the letters may be a 'Scientology mark', while others thought it could be a more sinister 'satanic marking'. 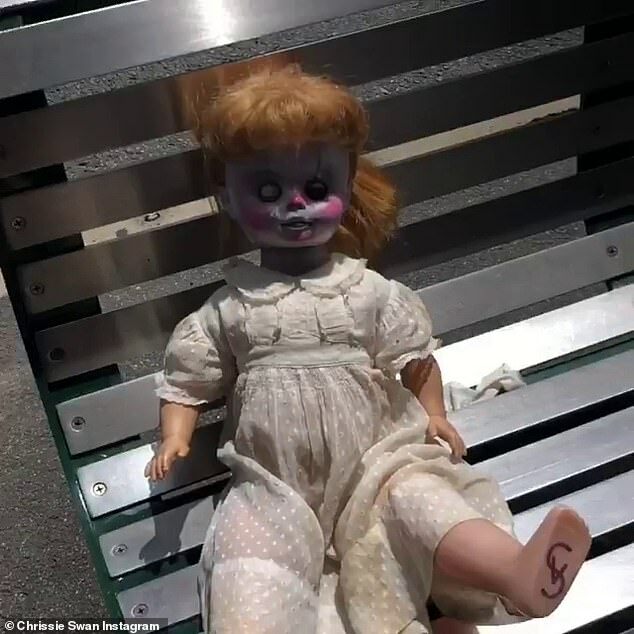 According to Mysterious Universe, the fact that Chrissie Swan encountered a scary looking (and quite possibly haunted) doll just casually sitting on a park bench makes you wonder how it actually got there. Did someone put it there as a joke or did it end up there all by itself looking for a new owner – or its next victim? Last year, in Peru, a mysterious doll also found on a bench in the park by a group of teenager. The footage was uploaded to YouTube in two parts: the first shows the small battery-operated doll talking, moving her mouth, turning her head and blinking her eyes while sitting on a park bench. But the second clip is the one that has viewers spooked. In this video, one of the teens picks up the doll to inspect it, then flips it over to open the battery case in the back… and apparently finds it empty. A couple of the teens can be heard gasping in shock at this discovery… and are freaked out a second time when the doll continues talking.